Iridescent green. All he needs is racing stripes. This caterpillar beetle’s Sunday crawl over the landscape was punctuated by some awkward short flights. 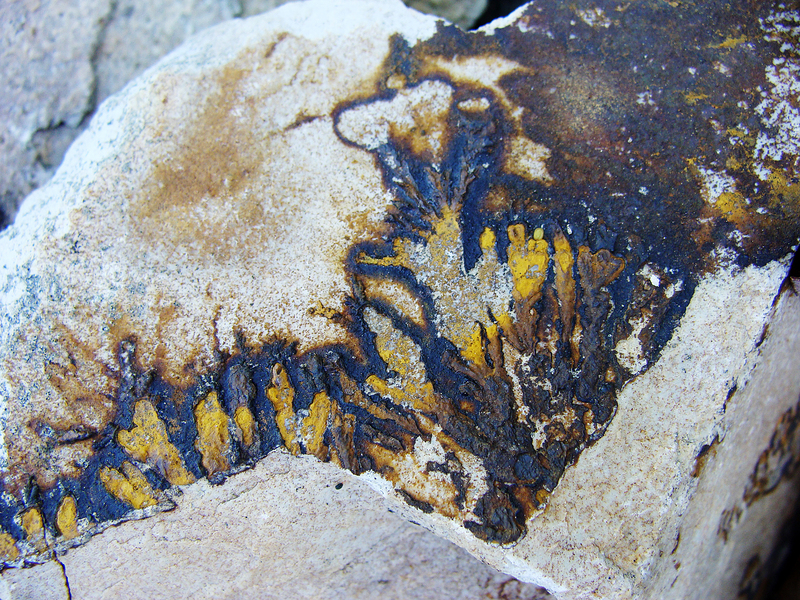 Lichen, water or other conditions have combined to create this extravagant flame pattern on the underside of a piece of local shale. One hungry caterpillar in search of dinner. 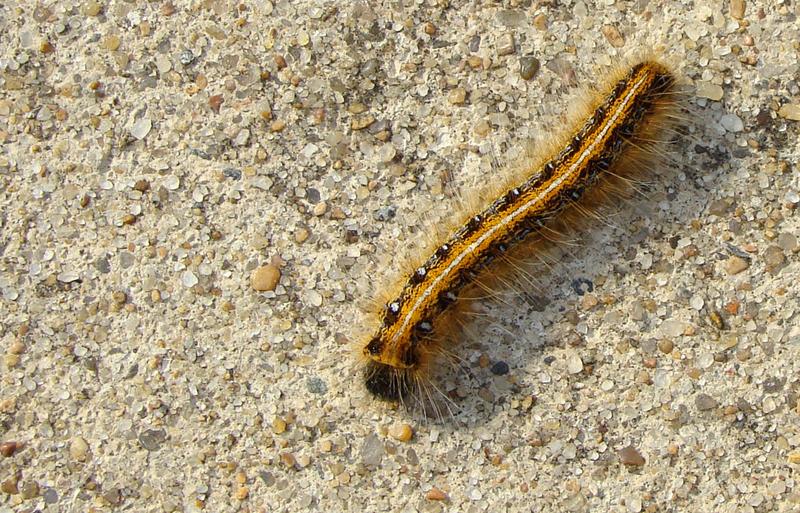 Spring means hungry caterpillars. This one was cruising the driveway. When the weather is so beautiful, it’s hard to stay out of the garden. Last week, some largish rocks were moved as part of a minor bed renovation. Underneath were the first snakes of the season — two very bleary worm snakes very much in need of some caffeine. 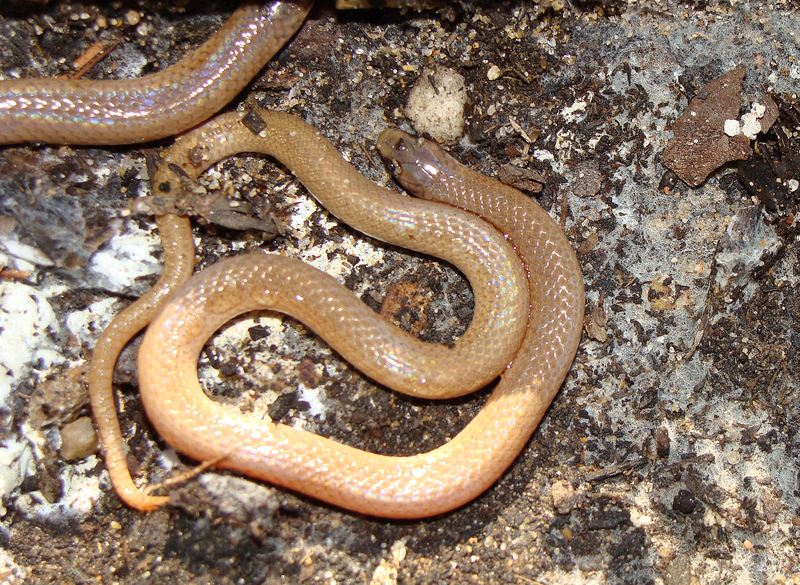 Eastern worm snakes (at least I hope that's what they were) get a rude awakening during a garden bed renovation. One of the unfortunate things about our house is that birds tend to fly full out into its windows. A goldfinch did just that this morning. Flopping around and reeling from the concussion, ny husband placed him, ever-so-gently, out of the way of snakes and the hot sun. 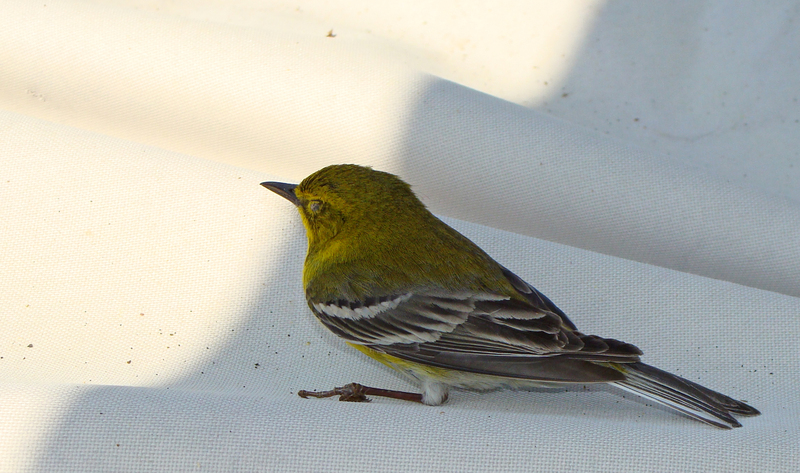 After about two hours, he had recovered enough to fly away. This finch steadies himself after flying full bore into the living room window. He shook it off after a couple hours and headed on his finchley way. The sky is cloudless and the temperatures are already in the 80s with the sun is just over the yard arm. The magenta wild phlox caught my eye rolling down the road to the recycling center. It was a given that when I got back, the camera and I were taking a walk down the road. 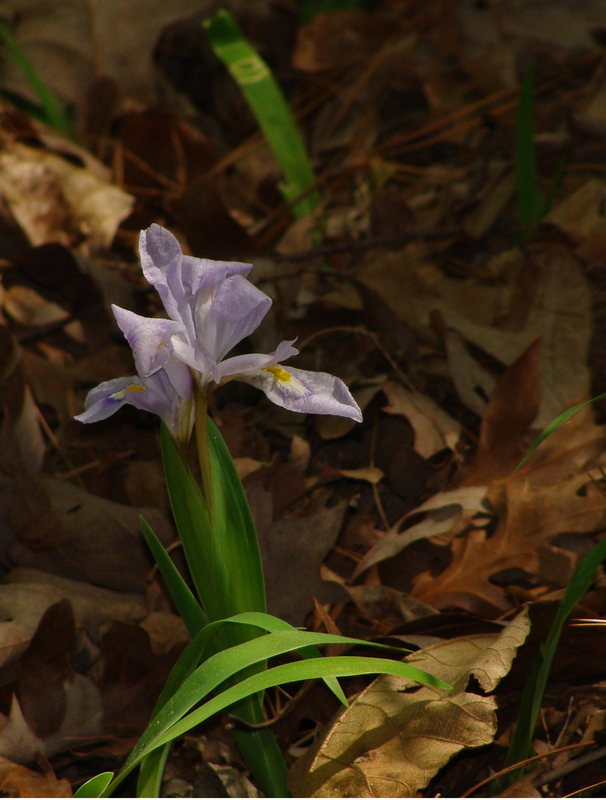 I’d also seen the leaves of crested iris poking some 3-4 inches above the leaf litter, but didn’t expect to see any flowers until later this month. 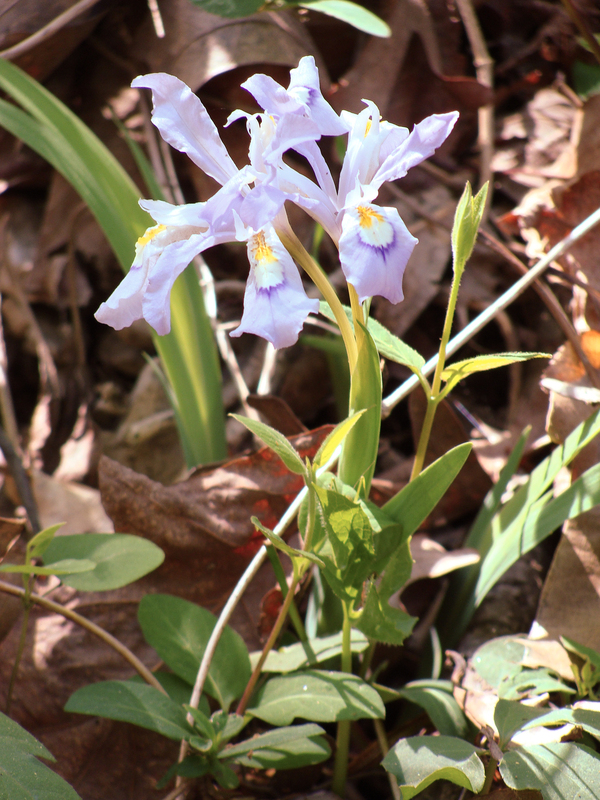 Surprisingly, many of them on the darker, cooler north slopes were blooming. Of course, native dogwoods were in their white glory today, their flowers capturing sunlight filtering through the quickly closing canopy. 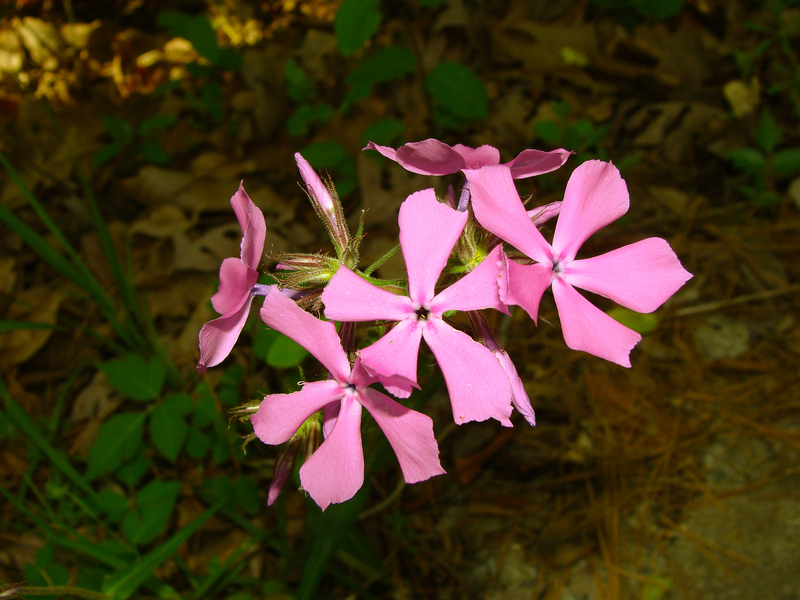 Vivid phlox peers upward from the roadside. This crested iris was blooming well away from the road. Knowing that diamond backs and copperheads are active now that it's warm, shooting from the road was probably the safest option. 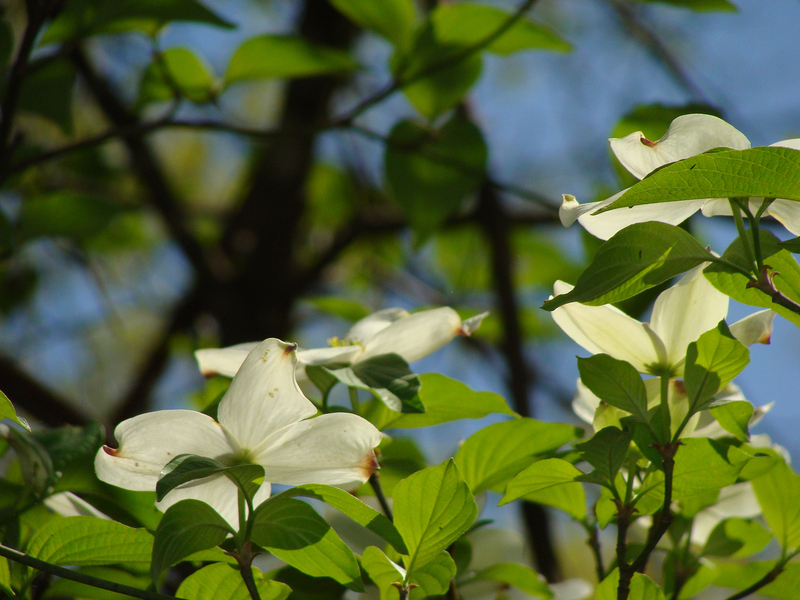 White dogwood flowers capture the early April light. 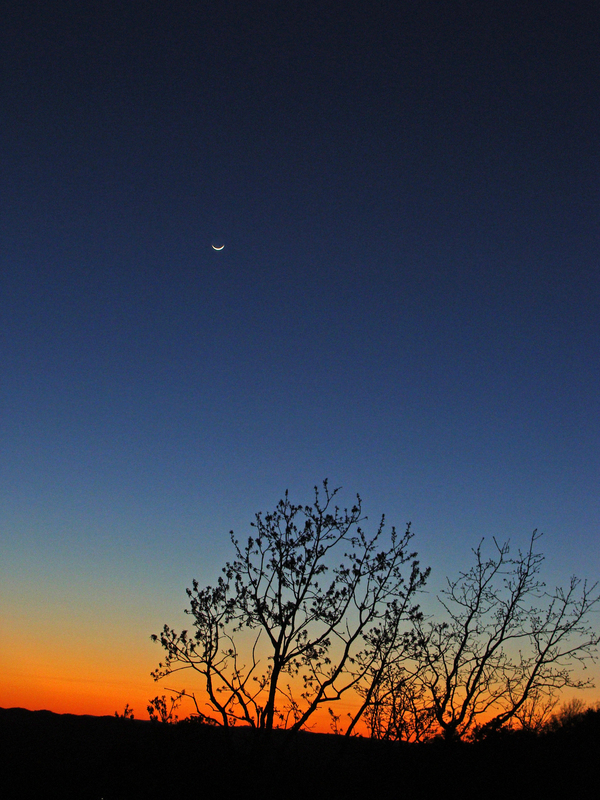 A favorite moon phase captured with a dramatic spring sunset and forest silhouette. A fiery cloud- and haze-free sunset over the Ouachita mountains. The sun has returned to the Ouachitas, along with highs in the 80s. A perfect day to get into the garden for spring cleaning the dried stalks left from last year, as well as transplanting lavender, a volunteer sunflower and adding more soil and mulch to existing beds. Among the discoveries today was a split open poke sallet stem, dried and bleached through last fall and winter, with its spongy interior mostly gone, but its ribs were left. 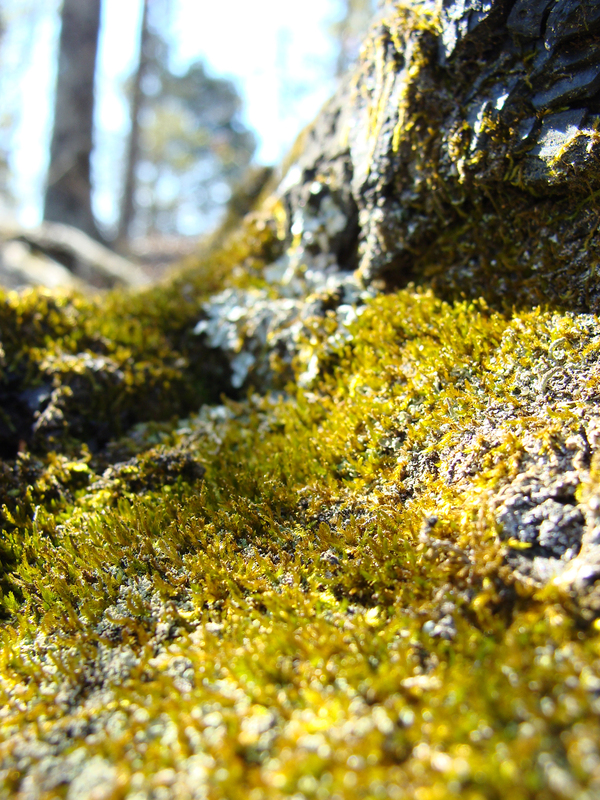 A short walk later was a beautifully gnarled, mossed and lichen-ed underside of a tree, which, last year, had been a useful perch for an eager chipmunk. 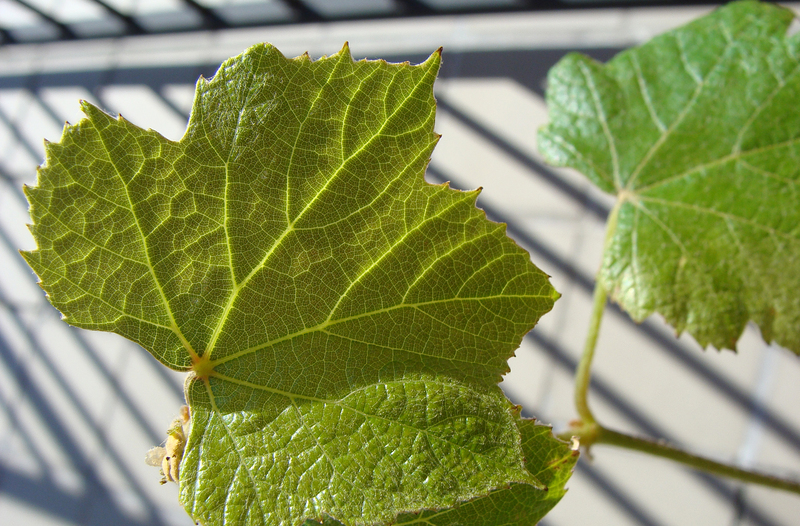 On the deck, a grapevine waited on the deck for some ground to call its own. The setting sun made the veining in its leaves stand out. 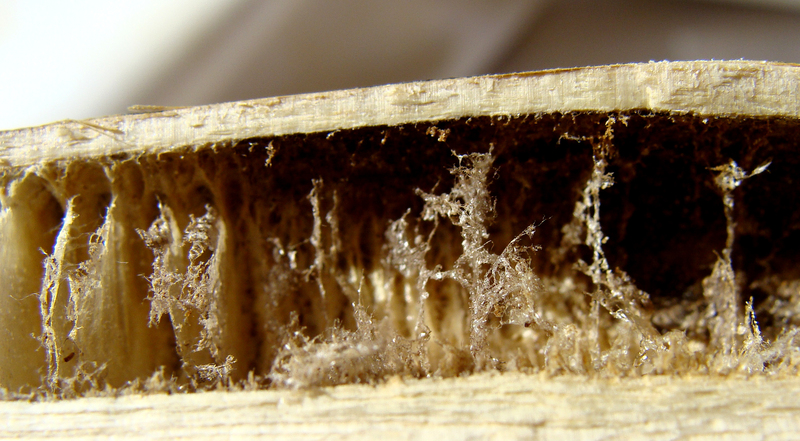 What's left of the spongy interior of a poke sallet "trunk." 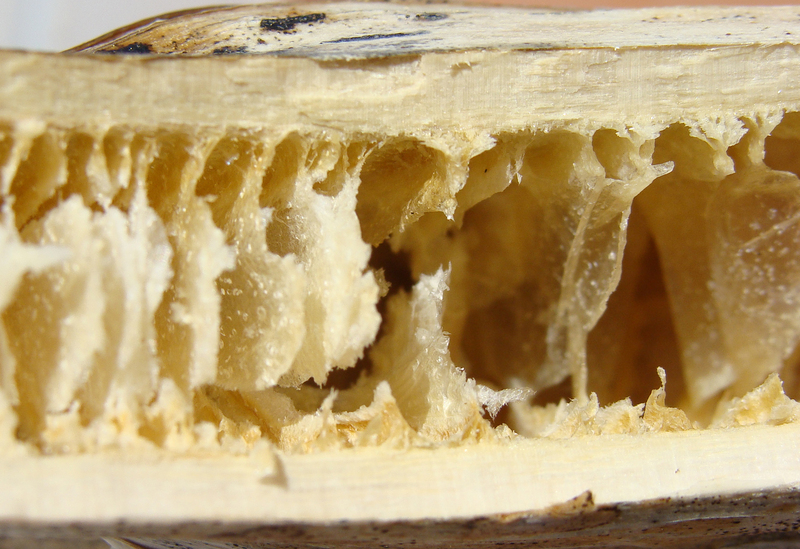 Another view of the same trunk near the tapered end. Niagara grape, its veins backlit, awaits transplantation. The foundation of this long-ago uprooted tree has grown its own peaks and valleys landscape. 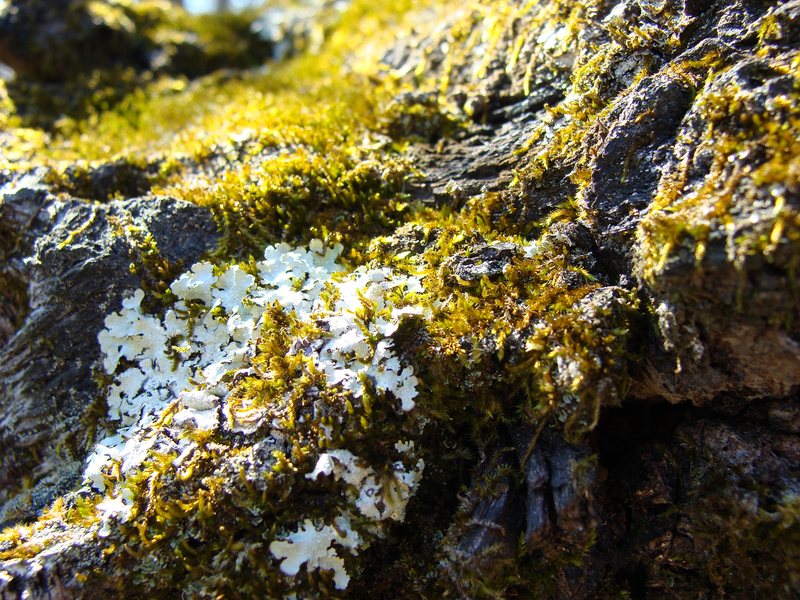 Another view of the rich life that has sprung from the death of a tree.